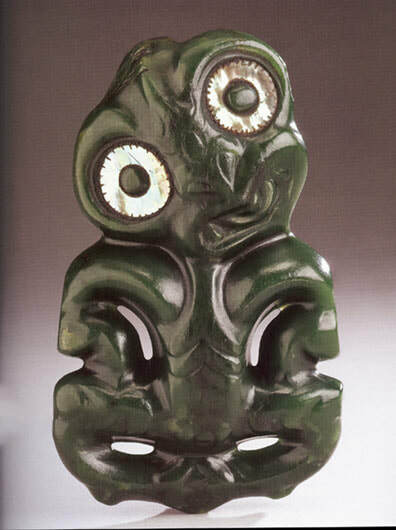 Mark and Carolyn Blackburn have one of the most significant collections of Polynesian Art in private hands. 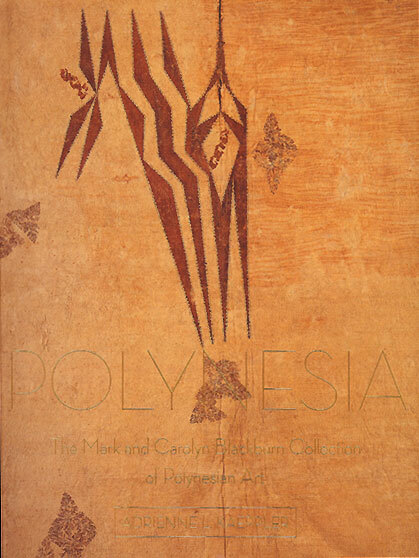 Their gorgeous newly released 448 page book, “Polynesia, The Mark and Carolyn Blackburn collection of Polynesian Art” is an important contribution to the field and was 20 years in the making. Book cover: plate 351, a Society Islands bark cloth poncho, 18th c.
TM: Congratulations on completing your new hardcover book. It was surely a massive and ambitious project. What were some of the challenges and triumphs in producing it? Blackburn: Most importantly the tireless effort of Dr. Adrienne Kaeppler can never be repaid by our family as it was her hard work and the objects and cultures themselves that brought the book to fruition- having her insight and friendship was the greatest joy of the project! Also we did not want it to be a "vanity book" but wanted it to tell the story of the people and places of Polynesia which it does I am happy to say. I think the introduction of the "flat art" also helps in telling the story of these unique islands. Many people have no idea that we have always been interested in paintings, exploration art, and photography as well as ephemeral material which we have added to the book. In this area we have chosen only a few selected works as we have a large collection of this type of material and plan on doing several other books in the future incorporating these items. As a result of all of this we must say we are quite happy with the ending result. TM: There are hundreds of pieces illustrated (804) in there but this is not even all of your collection. What percentage of your collection did you decide to publish? Blackburn: I would have to say we put a moratorium on "adding objects" about three years ago. So many Polynesian objects, some very important, have not been published as if we hadn't the book would never have been finished as we are still actively collecting. In objects I would have to say 85 percent are published but in flat works of art only a very small percentage are included in the book as we have a large collection of paintings and drawings numbering well over 150 in number. In the ephemera and historical artifact range it also would be very small as we have hundreds of things from Captain Cooks Walking stick, Maori War Medals, Missionary letters and Journals, Queen Pomares dresses, Bounty objects, etc etc. Photography will be another area which we will discuss further and then we have side collections such as vintage Polynesian postcards that now number 40,000 or more and are currently the subject of one of Steven Hooper's students PHD thesis. 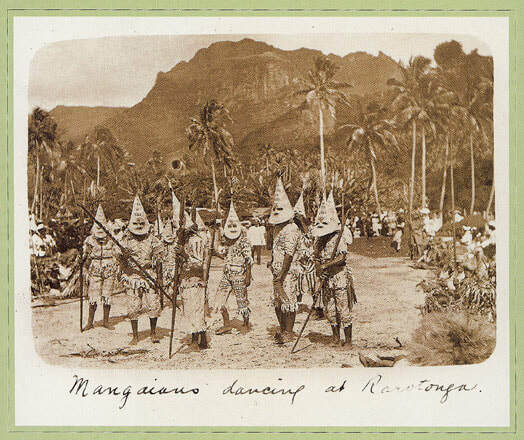 Keep in mind these date to pre-1930 with the bulk 1900-1920 which was the golden age of postcards and in reality are historical artifacts capturing a certain period of time in Polynesia. plate 429, Maori post figure Poutokomanawa, early 19th c.
TM: Dr. Adrienne Kaeppler the Polynesian scholar, author and curator of Oceanic ethnology at the Smithsonian wrote the text. Tell me about your special relationship with her? Blackburn: We have always been honored to call Dr. Adrienne Kaeppler one of our closest friends. She has truly been a inspiration to us but her friendship has always been treasured by the entire family. We have had the pleasure of not only working on this "book project" with her but many other things such as setting up the Tongan National Museum in 1998 in honor of the Kings 80th birthday where our Tongan collection was put on display. This special occasion was one of our highlights in our "Polynesian Journey" and was special in many ways for our entire family including our son Kuhane who was very young at the time. Being the leading scholar in her field and to have a close personal insight into her knowledge has also been especially rewarding. We have been involved with her on many other projects as well such as the current Captain Cook Show that opened in Bonn a year ago September and is now on view in Bern. Also we are greatly looking forward to her latest project that is due out very shortly on the Leverian Museum where we have lent a couple of items for the publication. Plate 455: Maori Hei Tiki greenstone amulet, 18th c.
TM: You’re the most passionate collector I know on all subjects Polynesian. What did you hope to achieve with sharing and publishing your collection? Blackburn: We have always wished to share our deep love and affection for all things Polynesian. Considering that very few people understand where the islands of Polynesia lie let alone know anything about the people, we have always felt that it was our mission to payback and be a type of ambassador for these amazing cultures. After all, our greatest gift from Polynesia is our son Kuhane who is Tahitian and adopted by my wife and myself at three days old. Its been an amazing journey and had we not been interested in acquiring objects etc. we would have missed out on adopting our son but that is another story in itself. 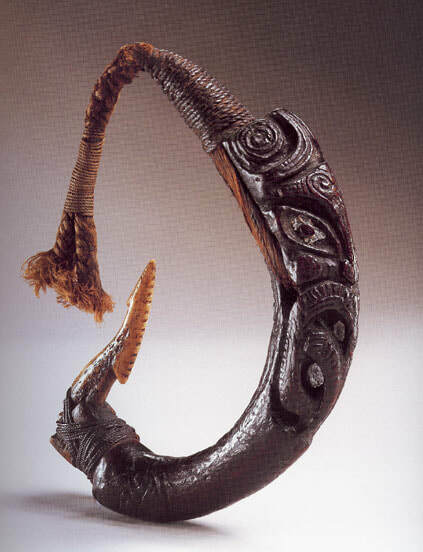 Plate 512: Maori ritual fishhook "Matau"18th c.
TM: How long did it take you to accumulate all these treasures? Will the collection ever be complete and do you have any dream pieces? Blackburn: I bought my first piece in Germany in the early 70's but really didn't become consumed by the collector's bug until the early 80's. The collection will never be complete as I expect it to be a life long process so to speak. I guess my dream piece would be a monumental piece of Mangarevan sculpture followed by the Hawaiian sculpture in the Bishop Museum known as the "poison god" which is fragmentary in nature - it's the essence of Polynesian sculpture and "mana". Plate 271: Marquesas Fan "Tahi", early 19th c.
TM: The book is a wonderful art experience to look through. 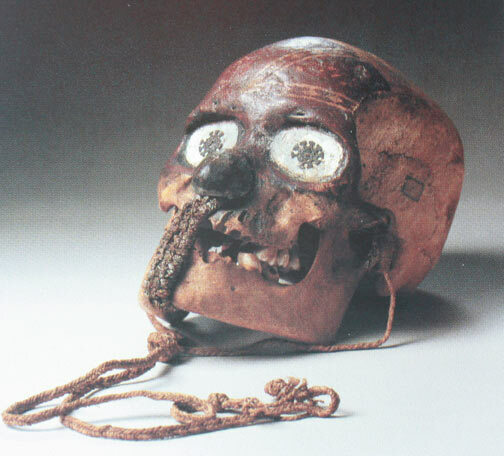 I’m struck by how difficult, if not impossible, it would be today to obtain pieces like your Marquesas Island Trophy skull and trumpet, Maori post figure, pieces collected by Capitan Cook etc. How was this possible when this kind of quality is so rare today? Blackburn: Well I was quite fortunate to be around during a time when material of this quality was somewhat available and also I pursued objects and went to great lengths to establish my name out their in the public domain. What makes our collection I believe quite unique is that the majority of pieces came from non-auction sources such as missionary descendants, whalers, explorers etc.-- it was like being a detective in those early days tracking these types of sources down. Also I always believed in true dealers as a great source of material. I was fortunate to know the greatest of all dealers in Polynesian art and that was the legendary John Hewett and of course people such as Mert Simpson who at the time was a true pioneer in many ways. Also I was the first to run ads in Maine Antique Digest, Antique Trader, Apollo Magazine, and Antique Trade Gazette which really paid off early on. I must say that I miss those old days in London at 11 Cadogan Gardens where dealers and runners would bring us objects to look at; those were truly the glory days of collecting! I was also quite fortunate to know great academic scholars such as the late Terence Barrow, Bengt Danielsson, Maui Pomare and others who opened doors for us so to speak. We knew all these people on a very intimate basis and were fortunate to spend considerable time with these academics and historic figures. I wish I could have just down loaded their experiences and knowledge before they passed away! Plate 317: Marquesas "U'u" club, early 19th c.
TM: You’ve described those times as magical when you were chasing art at the London auctions. 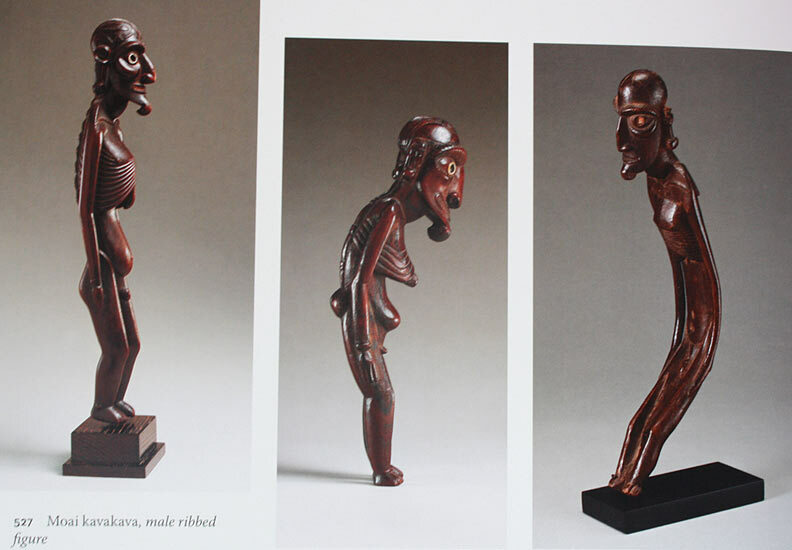 Was the mid 70’s and early 1980’s the “golden age” for buying Polynesian Art at auction? Blackburn: Yes the 70's and 80's were magical times on all fronts as their was more material around and less sensationalism. Also there were just a handful of collectors at that time and very little understanding on the rarity and importance of certain objects. Today its a totally different story with many people chasing far less material and as Dr. Kaeppler says in the book "Polynesian material today is looked at as the Rolls Royce of collecting areas". 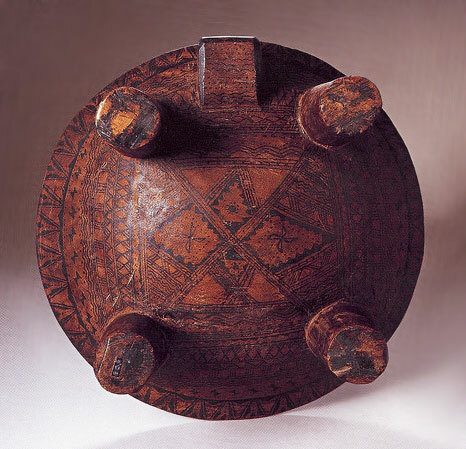 Plate 209: Futuna Island decorated kava bowl, mid-19th c.
TM: Do you think there is still a cache of Polynesian material to be found or are all of the great pieces already known? Blackburn: Anything is possible but in this information age I highly doubt it with the likes of the "Antique Road Show" and other things that sensationalize values. Look, this material was scarce from the very beginning and very few people really understand it. Case in point is the Austral Islands where the entire population dwindled to less than 20 people by 1830, yet people discard Austral island paddles as nothing when in reality they to are rare as the population of the islands basically disappeared by 1830. Yes in most cases they are early trade items but do you think there are many new previously unknown Austral paddles going to appear on the market-- I highly doubt it. 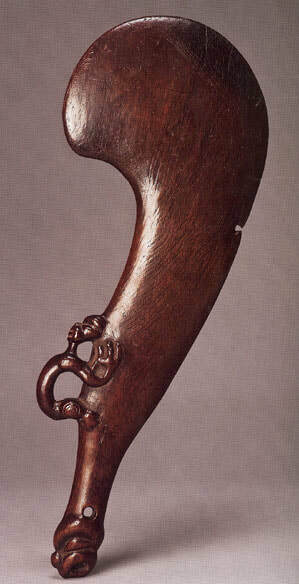 So you can imagine the chances of a major rarity appearing such as a previously unknown piece of Hawaiian sculpture. Its not going to happen and if it does it will be by only freak circumstance! Also too many people and auction houses are competing for this material today! Plates 277-79: Marquesas trumpets "Pu" 19th c. and a drum "Pahu" 18th-early 19th c.
TM: For those who don’t know, how did you become so completely spellbound with Polynesia, its people, culture and art? Is your obsession a curse or a blessing? Blackburn: I fell in love with the islands after my first trip to Tahiti in 1971 which is still my favorite place in the world. Recently a close friend of mine who traveled with us to Tahiti for the first time after the Rarotonga Pacific Arts Conference in August described Tahiti as "hallucegenic" and its my feeling exactly, its why so many writers and explorers fell under the influence of the islands of Polynesia. Its spellbinding on all visual and metaphysical levels and the masterworks of art from these islands capture the same feelings in me. 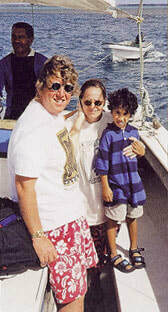 Its been the greatest blessing of my life for without the love for Polynesia I would have not ended up in Hawaii and thus meeting my wife of 31 years Carolyn or our greatest Polynesian treasure our son Kuhane. 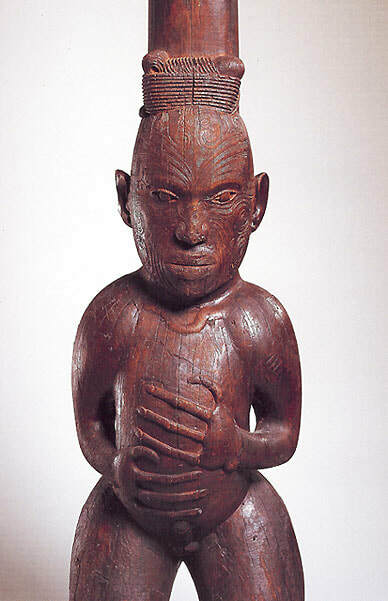 Plates 299-301: Marquesas basat tiki figures "ke'a", 18th c.
TM: Can you recall an interesting story involving great effort to acquire a piece? Blackburn: I must admit I always enjoyed and still do the thrill of the hunt so to speak especially in the early days. I have so many interesting stories about how and when I acquired pieces that I plan on writing a book someday on that subject alone. When it came to many of the more important pieces in the collection I must say it took a lot of perseverance and sleuthing. Quite honestly I would travel fast and furious anywhere in the world on a moments notice to pursue an object of great interest or importance. One of my greatest sources was to hunt down many of the original descendants of missionaries, explorers, and founding members of the Polynesian Society. I also tracked down many early purchasers of objects that came up early at auction as their names were published in the prices realized sheets. (left) plate 169: probably the finest Tongan Club known, "Akau tau" 18th c., collected on Captain Cooks third voyage. (Right) plate 544: this unassuming looking object is actually an exceedingly rare "Tabooing Wand" used by priests or "Kahuna " to put objects, people and places under taboo! It is so far the only known surviving object of its type. TM: Am I correct in saying that your two successful businesses, Wholesalerug.com in Lancaster Pennsylvania and Mauna Kea Galleries in Honolulu largely exist to finance your acquisitions of Polynesian Art? Blackburn: Since I was raised in a family of very modest means the only way to collect and acquire objects was by hard work. Many people know that I made quite a bit of money before the age of 21 when I was a young coin dealer and gold and silver broker but that fortune was mostly lost. It was truly the handmade oriental rug business that allowed us to pursue collecting in a major way. It was making Oriental Rugs available for the masses that was the key to our success. We decided there was enough of playing games in this business and we still do sell large quantities of fine handmade rugs at the guaranteed lowest price in the USA. I treat the rugs as a commodity just like my early background as a metals dealer and look at moving quantities of a fine handmade product at a very low price with a small markup which was unheard of at the time. Also all rugs are priced and non-negotiable which is unheard of even today. We did not size the consumer up when they entered the showroom and didn't discount further as the person got closer to the front door. Our son Kuhane has expressed an interest in this business so we have decided to keep it as an ongoing family enterprise. The gallery on the other hand came out of just a natural love for things Polynesian. Its a ongoing concern but our main interest besides Hawaiiana and surf stuff is important Hawaiian paintings where I have to say we were the main player in the field during the late 90's until say mid 2006. This was a market fueled by wealthy second home buyers who were building huge homes in the islands and wanted to decorate so to speak with period island art. Plates 95-97: Fijian throwing clubs Ula drisia (right) "I ula Kobo" 18th-early 19th c.
TM: Few people know this but you have one of the largest collections of Pre-1900 Polynesian photographs. Tell me more about that. Blackburn: Yes we have I believe the largest collection of Polynesian photography in private hands numbering well in excess of 10,000 images pre-1900. We have been actively pursuing this field for 30 years when no one else paid attention to it and in fact were mocked by many well known tribal figures for buying the material. Our plan is to do a series of books over the next few years and put it all on a digital date base. We have always made this material available to scholars and academics and countless images have been used in various publications. We are still actively collecting in this area but like everything its getting much harder to locate. TM: Some have criticized you for being overly competitive when pursuing an object you want. Do you think that is fair? Blackburn: My background as a dealer in rare coins most likely helped form my competitiveness. I was successful in that business as I would go to great ends with constant travel to acquire rare coins. I looked at the world as the marketplace and not just a regional area and this was all at a very young age. This combined with spending over thirty years as a rug dealer also has formed a type of competitiveness I guess. As most people know I will go to great lengths to acquire and pursue Polynesia objects, so I guess this is a fair appraisal. Also it was a very competitive world in the late 80's and 90's so you had to go to great lengths to compete against mega money people such as Bill Ziff and others. It took a lot of strategy, planning, hard work and most importantly passion. 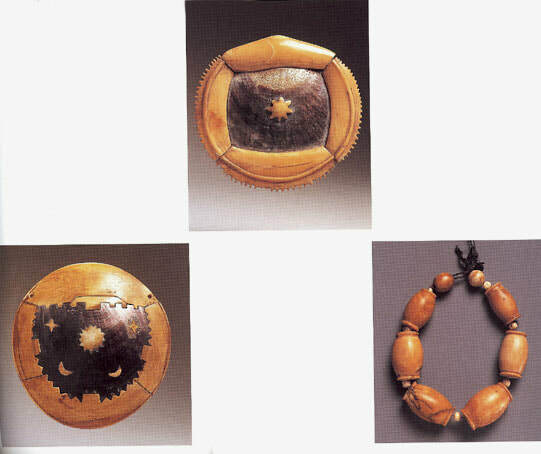 Plates 1-3 Fijian breastplates "Civavonovono" early 19th c., (right) whale ivory necklace 18th-19th c.
TM: What dealer, collector or scholar inspired you the most? Blackburn: Dealer - John Hewett and Mert Simpson who both had a type of style, grace and passion, scholar- Adrienne Kaeppler, and collector- W.O. Oldman. 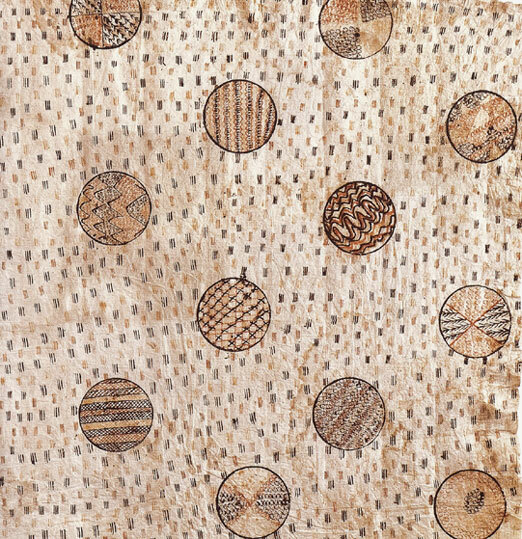 Plate 563: Hawaiian barkcloth "Kapa moe", early 19th c.
TM: Can you describe the important role Carolyn plays in your life? Blackburn: Carolyn is my soul mate and had the patience and understanding to live with a true collector. She also loves the hunt for objects even today and most importantly shares the same values and passions with me. Without her input the collection would not be at the level it is today. Also she has a tremendous amount of good humor and patience which helps when living with a collector like myself. 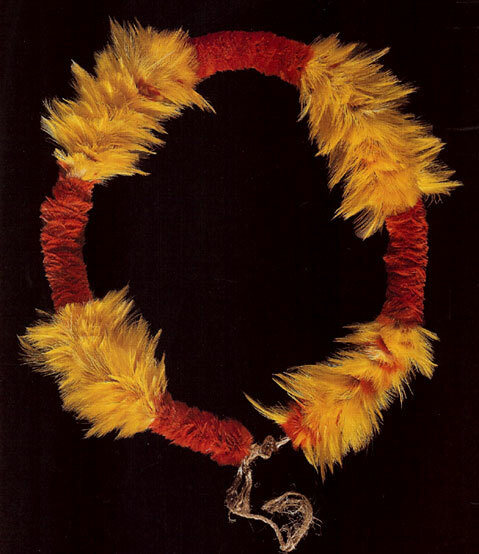 Plate 563: Hawaiina feather lei, "Lei pauku", 18th c.
TM: It was clear early on that you had a unique view on selling artifacts, for instance when you ran full page ads in Tribal Magazine showing a group of pieces with prices. What is your philosophy on selling? Blackburn: I really dislike the marketplace whether it is oriental rugs, antiques, or tribal art where the price is determined after the seller sizes up the potential buyer so to speak. I have been severely criticized in the rug business and tribal art world for taking the approach that all items that are for sale should carry a visible price for everyone to see. For some reason most dealers no matter what the area hate this approach to business. Plate 537 & 537: Easter Island (Rapa Nui) dance paddles "rapa", early 19th c.
TM: You’ve been critical about today’s selling environment for tribal art. You’ve called it a snake pit, how do you mean and how have things changed? Blackburn: First of all their is very little scholarship today and most dealers just look at the material as merchandise. Also because its so competitive and the market is so small compared to other areas of collecting there is a type of nastiness that I do not see even in the rug business which for the record is not for the faint of heart. I also think that many dealers have no idea about the cultures or the people that made these truly amazing things. Also there is this sort of tribal territorialism that prevails in the tribal art world where people are constantly bad-mouthing people and objects and calling things fake when they have no clue what the hell they are talking about. Also the French versus the American thing is quite odd as well. Its so territorial and crazy in this world where globalism is the name of the game. Plate 527 Easter Island Rapa Nui "Moai Kavakavas", 19th c.
TM: What are your thoughts on where the Tribal Art market is now and where it is going? Blackburn: The scarcity for quality Polynesian objects will keep the price levels increasing as more people are interested in the material. I think that prevails for Melanesia especially island Melanesia as well; but for African and New Guinea I think it will decrease except in the case of John Freide level New Guinea which I think will increase as well. But lets face it if you want a world class Fang or Kota its always available and you may have several to choose from but that's not true in Polynesia-- who are you going to call or look up for Hawaiian sculpture or that matter a piece of Maori sculpture of importance? No one! 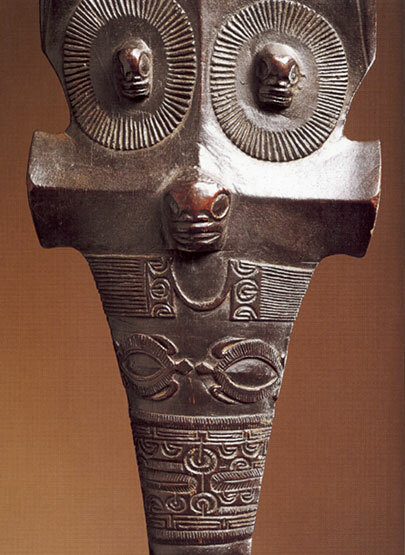 The material is rare and the cultures were decimated by contact with the West at a very early time. 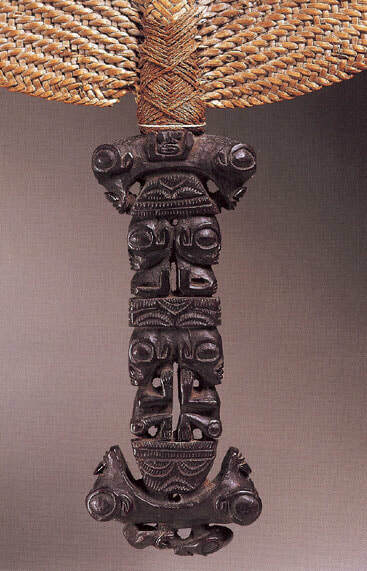 Also I truly believe that for a piece of Polynesian or Oceanic Sculpture that is world-class there is no price. Lets face it, even at the million dollar level its just sales tax on a not very interesting modern or impressionist painting. Look at the contemporary world where ten million dollars is the entry level price on something of importance. (left) plate 495 Maori hand club "wahaika rakau" 18th c.
TM: What are your thoughts on the sensitive political topic of repatriation of cultural material? Blackburn: First of all we have the utmost respect for all indigenous cultures. As avid environmentalists it was these cultures that first understood what the earth had to offer and its limits. Also we were the first private collectors, to our knowledge, to lend a collection back to a indigenous people and that was in 1998 in the Kingdom of Tonga. It should be noted that if it wasn't for collectors most of the known material that exists today would not be around especially in areas in the Pacific where climate and earthquakes etc. are always factors. I think I would like to sum it up ending by telling a story about a conversation that I had late one night with the great Maori scholar Maui Pomare at his sheep ranch above Wellington. I asked him after a lovely meal and a couple glasses of wine how he viewed us as collectors of his peoples treasures or "taonga"? He then said that he was confident that these treasures were being carefully cared for by us and these objects acted as ambassadors for his people and that has always stuck with me to this day. 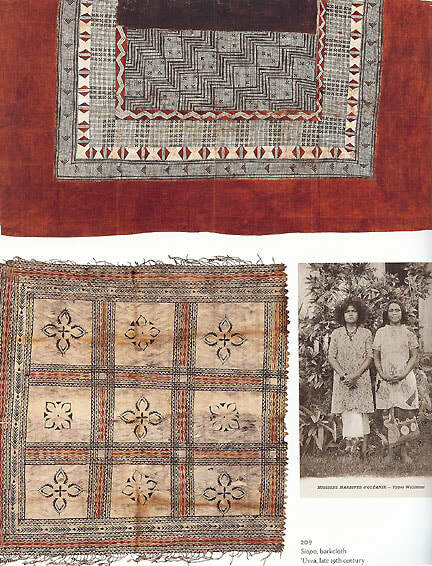 Plate 209: Futuna Island (upper) waist garmetn "salatasi" early 19th c. (bottom left) barkcloth "Siapo" from Uvea, late 19th c.
​TM: What is the ultimate long-term goal for your collection? Blackburn: We are still collecting but this has always been on our mind. At the moment we feel the collection would most likely end up in a major museum but not necessarily in the U.S. or possibly a foundation. We are also very involved in environmental issues especially in Hawaii so who knows what or how this will somehow be part of the whole picture. One thing is for sure we didn't purchase the material as some type of investment but solely for the beauty and passion that these objects invoke. Plate 312: Marquesas Island trophy skull, 18th c.
TM: Is there anything important you would like people to know about you? Blackburn: yes, we would. We believe in "paying back" so we have committed ourselves to making the world and environment a better place to live in. With that all said we are on the front lines of a major environmental battle in Hawaii which I guess you could say invokes the true power of one family to stand up against insurmountable odds to leave the world a better place. Stay tuned for that continuing story! Tribalmania extends its sincere gratitude and appreciation to Mark Blackburn for offering his insightful views.